The new print edition of Chipping Norton News is out now. Available to buy from many shops, businesses and surgeries around town, including the leisure centre, the new June edition is packed full of the usual blend of news, features, sports, and arts. Grab your copy now – they go quickly! 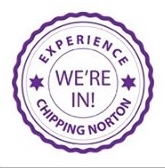 This entry was posted in news and tagged Chipping Norton, Chippy, Chippy News. Bookmark the permalink.